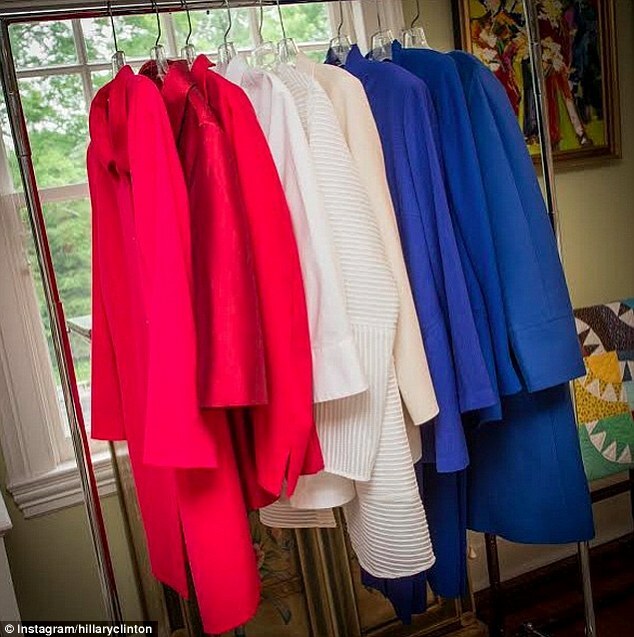 Hillary Clinton joined Instagram by posting a picture of her patriotic pantsuits. ‘Hard choices,’ she captioned the photo, referencing the title of her 2014 memoir. Just a couple of hours after posting the image – also a nod to her well-documented love of block-colored pantsuits – on Wednesday, she had gained more than 18,000 followers. She has not yet followed anyone back.